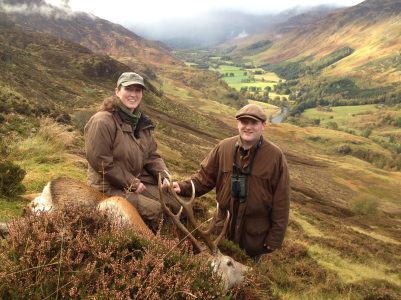 The snow is falling and the temperatures are hovering around freezing so it might seem like an odd time to be thinking about this summer’s deer hunting in Scotland but the time to book is now! Traditionally every day of deer hunting in Scotland is offered to the person who took that day the year before meaning that after the end of the season there is a slight delay before the next season’s availability can be confirmed. Contact us now for more information. The offers have gone out to past clients and the answers have come back so now is the time to plan you deer hunting in Scotland for 2016. Availability is beginning to get booked up already. Many of our clients have been deer hunting is Scotland for many years and are wanting something a little different so this year we are pleased to be able to offer several new estates that have only just been opened up to the public. 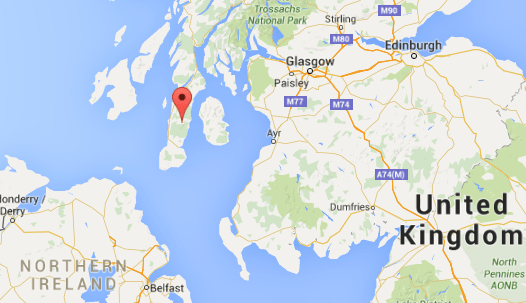 Of particular interest to our regular hunters might be our new estate in the Kintyre area. Although we specialise in deer hunting in Scotland Kintyre is not an area we have used before so we were delighted when we were contacted by the estate stalker. The hunting is for both red deer stags and sika stags and takes place over mixture of hill, forestry/ woodland and pasture ground meaning that no two days of hunting are the same. Where ever you choose to hunt we guarantee you will have a fabulous trip. All of River & Green’s holidays are tailor made and include the finest sport an international hunter could wish for. Contact us today to for to plan your trip or for more information about red or sika deer hunting in Scotland 2016.